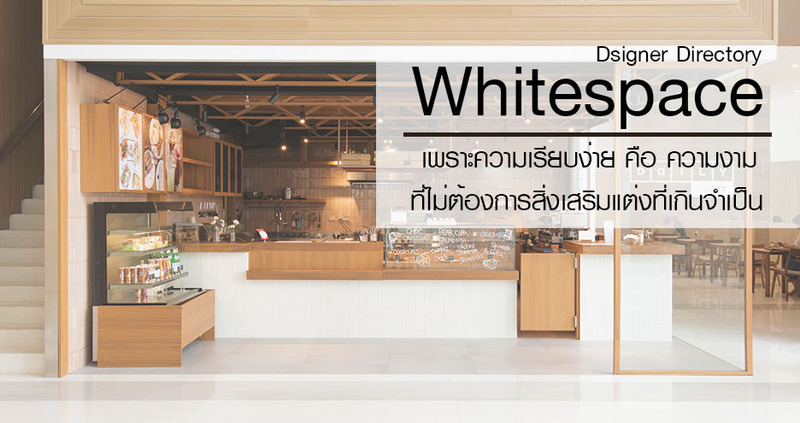 Whitespace Company is a brand-driven design consultancy to wide-ranging clients who appreciate our fully integrated branding and three-dimensional design capabilities and global perspective. Comprised of architects, interiors architect with consumer environment specialization, industrial designers and communication designers, we create teams who invent / reposition retail, hospitality and consumer product brands from the ground up. Size: ร้านอาหาร 168 ตร.ม. และครัว 95 ตร.ม.